Newly updated with additions and the must-visit venues that have opened up since the last time I published this piece, here’s your guide to getting drunk in Las Vegas during CES. Seriously, ditch the Strip this year and go check out what downtown and the rest of Vegas has to offer. Remember, there’s no such thing as last call in Vegas. 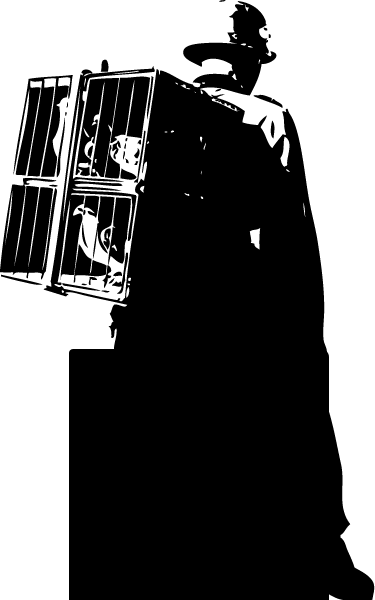 Note that this list is in no way exhaustive – consider these my recommendations. One of my personal favorites and an anchor of the Arts District, Artifice was built by Westwood Studios co-founder and gallery owner Brett Sperry. Cozy and spacious (these aren’t contradicting when applied to Artifice), the bar features great art, a strong DJ lineup, and a friendly crowd. Be sure check out Bar + Bistro next door while you’re in the area. Arcade slash bar slash nightclub, Chris LaPorte’s Insert Coin(s) continues to draw a big crowd, so don’t be surprised to see a line on a busy night. 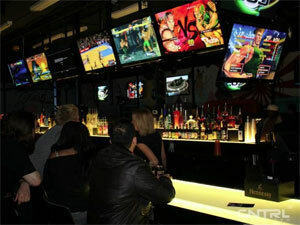 Arcade games and consoles surround a large glowing bartop, with a DJ station and dance floor in the back. Only place I know where the table service might include a copy of Mario Kart alongside the vodka and mixers. Right across from the Fremont St Experience, near the corner of Fremont and Las Vegas Blvd. 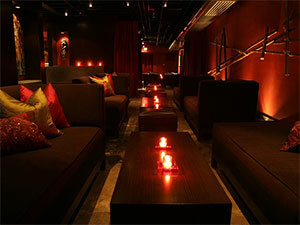 Modern decor, moody lighting, and often a DJ spinning house or downtempo. DCR has fancy drinks by actual mixologists, and their Bloody Mary is damn good if you’re the sort that likes salad in your alcohol. More cozy to DCR’s swanky, but often catering to similar crowds, this is the place where Harry Potter would go to get laid. Brick and leather interior, a nice firepit, and good music, especially if you’re a fan of the band Metric. Yep, we’ve got one here too. Right around the corner from the others listed above, on Fremont. Mmm, hipsters. Once you’ve have your fill of the live music and PBR, walk two doors east and grab something to eat at the newly-opened Le Thai. 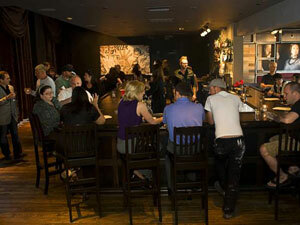 Continuing on Fremont East, there’s also Vanguard Lounge, The Beat (great for hangover coffee, too! 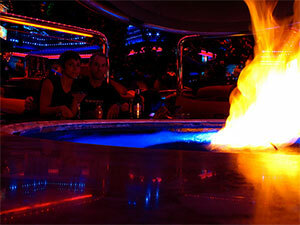 ), Maharaja Hookah Cafe, Don’t Tell Mama, and Azul Tequila. 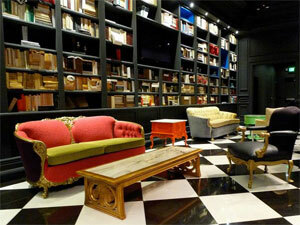 Located in the Soho Lofts just south of Fremont, this new entry brings library chic to the downtown drinking scene. Walkable from the Arts District bars above. A newer bar by P Moss (owner of the Double Down), Frank’s Tiki Room is a tiny place just west of Las Vegas Blvd, on Charleston. 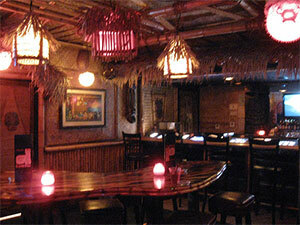 As the name suggests, it’s wall to wall tiki, with a menu full of custom drinks. Possibly enchanted. 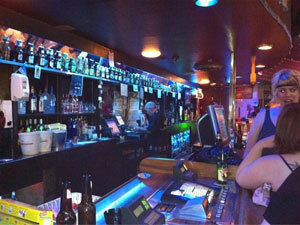 Wanna get the hell away from the rest of the tourists and see what a real Las Vegas dive bar is like? Here’s your bar. Open all night, the bartenders are friendly and the drinks are dirt cheap. 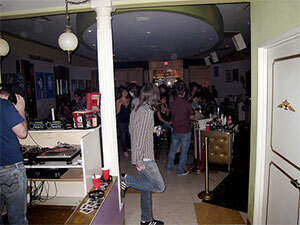 While the HT can be slow during the week, weekend nights are usually hopping. 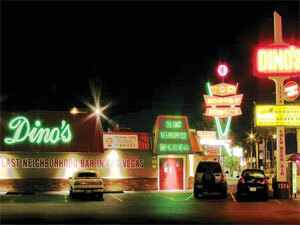 Wondering where everyone goes after the bars on Fremont East shut down for the night? 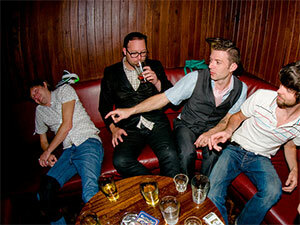 If not bed, chances are they’re at Dino’s. 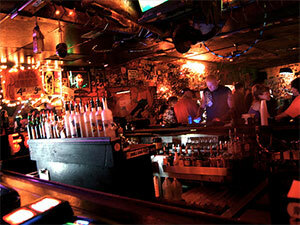 One of the oldest bars in town, Dino’s is known for its Thur-Sat karaoke and cheap drinks. Hit up Tiffany’s across the street for some late night grub when you’re done. It’s the Peppermill, been here for years and years. It has a fountain that is also on fire. Due to it’s Strip location, expect it to be crazy busy over CES, unless you go around 3am (which, to be honest, is really the only time one should be visiting the Peppermill). Heh, updated the title to reflect the actual year. Sigh. Anyway, if you are here for CES and hit up any of these places as a result of reading this, let me know!